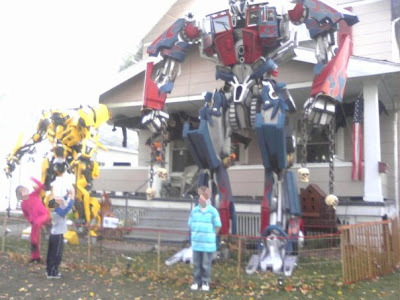 The Transformers here were made from car parts, wood and styrofoam. 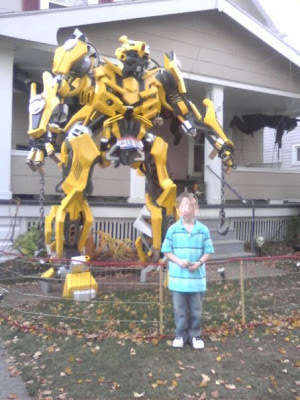 Bumblebee is 12 feet tall; Optimus Prime is 17. They're lit from 7-10 pm. 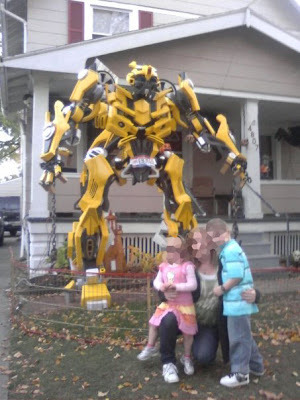 The gent who built them is hoping to have 22 foot Decepticons next year. 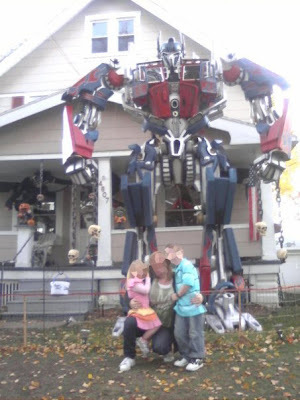 UPDATE: Before the questions start, it's at 4807 Wichita Ave., Cleveland, OH 44144. Holey Moley! That's totally awesome.